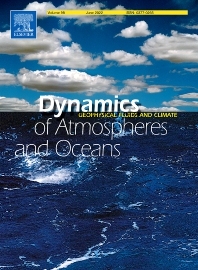 Dynamics of Atmospheres and Oceans is an international journal for research related to the dynamical and physical processes governing atmospheres, oceans and climate. Papers of theoretical, computational, experimental and observational investigations are invited, particularly those that explore the fundamental nature - or bring together the interdisciplinary and multidisciplinary aspects - of dynamical and physical processes at all scales. Papers that explore air-sea interactions and the coupling between atmospheres, oceans, and other components of the climate system are particularly welcome.